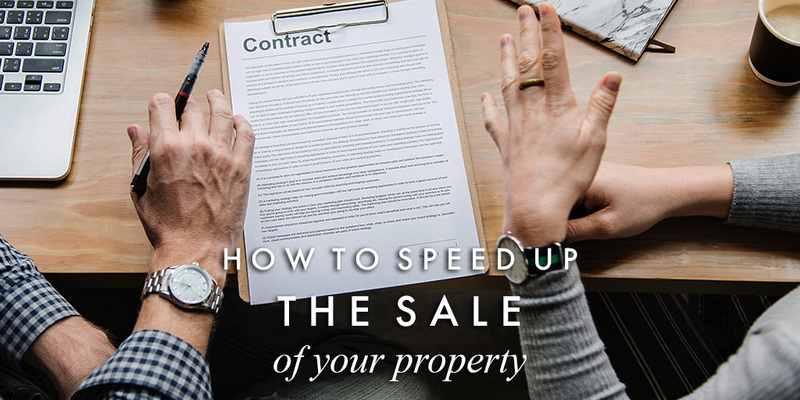 Although it can be easy to concentrate all your efforts on getting a buyer, there is plenty you can be doing while your property is on the market to ensure the legal process moves swiftly and smoothly once you’ve agreed a sale. Delays are the main reason why sales fall through, so taking the time – while you have the time – to put as much in place as possible while your property is still for sale will set you up for an easier and faster conveyancing process and reduce the chance of losing your buyer. Talk to a few companies and find someone you are happy to proceed with. Ask around among friends and neighbours in the area for recommendations. We can also point you in the direction of reliable local solicitors and conveyancers in Berkhamsted and Tring. While form filling is hardly exciting, it really is worth getting on with this job as soon as you can. Ask your conveyancer for the forms which detail exactly what is included in the sale along with aspects addressing boundary walls, guarantees, extensions, disputes, etc. The sooner you start completing the forms, the more time you’ll have to gather any unexpected or lost information. It’s far better to take a few weeks on the task before you’ve got a buyer, than to delay your move after you’ve agreed a sale. This might sound obvious, and the legal profession has a come a long way in adopting digital practices, but there are still some solicitors who prefer to send documents by regular post. This serves only to hold things up, so make sure you clarify that, not only does your solicitor have an email address, but that they actively use it to progress the conveyancing process. To have as much knowledge on your side as possible, it’s well worth using a local firm of solicitors or conveyancers. Whenever issues have arisen in the results of local searches, we’ve found that solicitors familiar with selling and buying property in and around Berkhamsted and Tring generally possess the local expertise required to have a solution at hand. We’ve seen plenty of occasions where a transaction has been delayed by the sheer workload of discounted, high-volume conveyancing firms. Saving a few hundred pounds on legal fees sounds fine at the outset and is perfect for sales that are guaranteed to be plain sailing, but no sale is bulletproof and the initial attraction of cheap fees can become far costlier later on. So make sure to ask about service standards, availability of your representative and recourse. Just as with estate agents, any firm whose business is based on local reputation – rather than simply being cheap – have a hugely vested interest in delivering excellence. For over twenty years now it’s been compulsory for land to be registered on a sale. But if you’ve owned your property for several decades it is possible that it may not yet appear on the Land Registry’s digital system. So, if the property has been in your or your family’s ownership for a long time, check to see whether you hold the deeds, or whether they are still with the solicitor who acted in the earlier purchase, or indeed if they are still with the mortgage provider (assuming there is one).